Good morning! 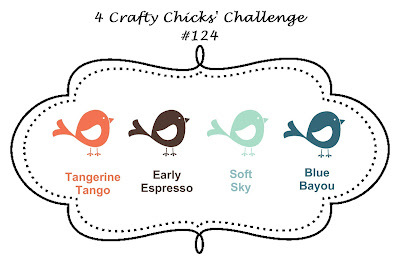 Welcome to 4 Crafty Chicks, where we have a new fun-filled challenge for you. 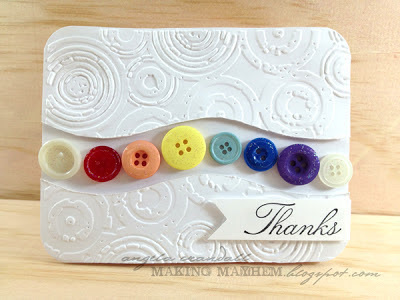 Thank you so much to everyone who played in our Buttons challenge last week. The creativity was phenomenal. Our wonderful hostess for this week is Leanne (who, by the way, is off trolloping all over Beverly Hills, California as we publish this challenge (hope you're having a blast, girlfriend! 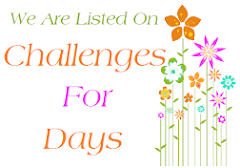 ), and she has a fun-filled challenge for us. She has challenged us to a Recipe. Who doesn't love a good recipe? It is another good way to use up items from our stash. Leanne is also offering up this wonderful prize for this month. Thanks Leanne! Here is some more inspiration for you from the girls! Good, Good morning to blogger land and all of our players! What a PHENOMENAL week!! We have the best players here at 4 Crafty Chicks. 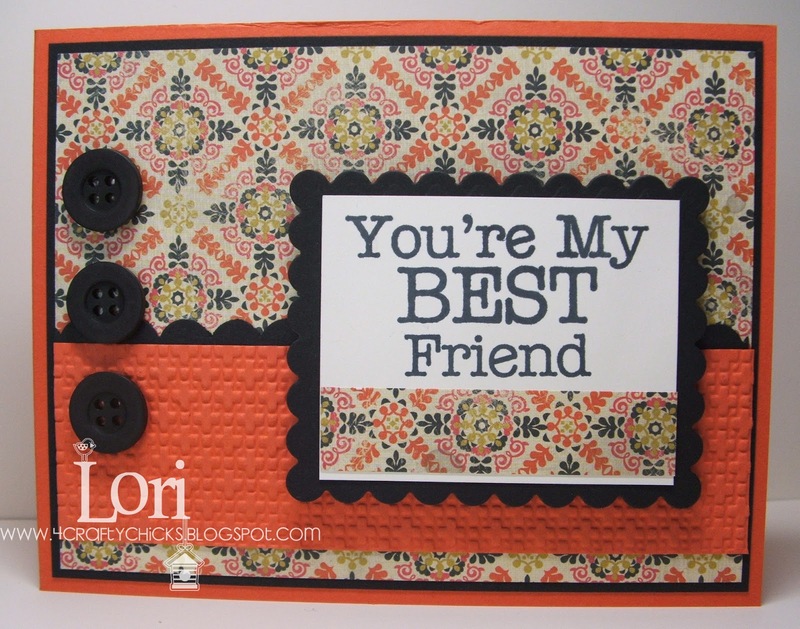 We had another amazing turnout this week for Lori's Buttons challenge. Man can you all break out those buttons, there was some with one or others with a a bunch, but do you all ever know how to work it!! 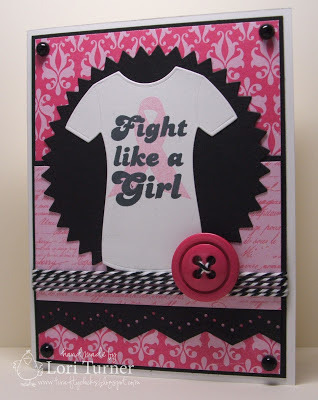 The creations were cards, scrapbook layouts, boxes, bottles, wall hangings and tags. 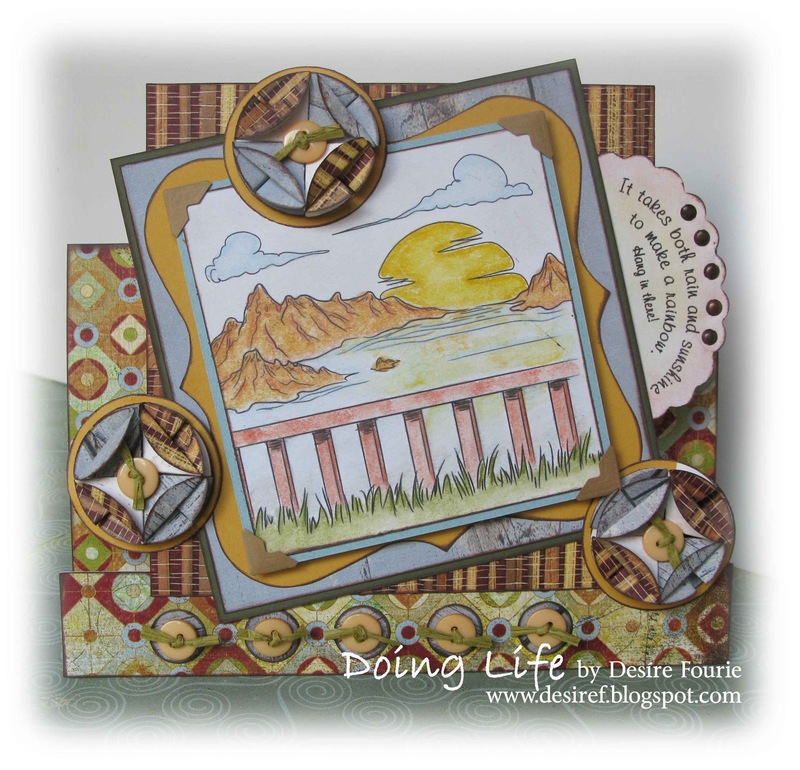 The inspiration shown here was out of this world, with incredible layouts, color palates, embellishments, layers, CAS and so many other details. We wish we could pick all of you as winners because honestly they are all that good and deserve acknowledgement. Be sure to do a little hopping to check out the works of art. After much struggle for us girls, which we wouldn't have it any other way, we have picked our TOP 3. Thanks to all who participated in our "BUTTONS" Challenge. We will see you tomorrow morning for our new challenge! 4 CCC# 126 - BUTTONS!! Wowwww is all we can say about this challenge, it was super awesome with over 100 entrees we are so very pleased, thank you everyone, the talent is amazing. Makes our job tough, but it also makes our job the best, again thank you. Thanks to all who participated in our "PEARLS" Challenge. We will see you tomorrow morning for our new challenge! 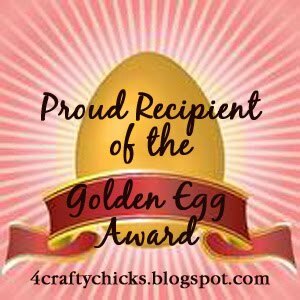 Welcome back to 4 Crafty Chicks! 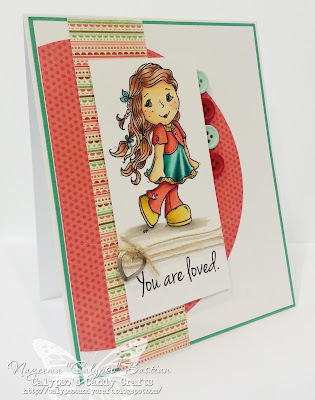 The weeks are already flying by here at 4 Crafty Chicks, how about you? Can you believe that we are already half way done January? Wait didn't we just have New Years?! Thank you so much to everyone who shared their creations with us last week. They were all so marvelous. Your hostess for this week is me, "Tamie," and well I thought it would be fun to go easy on you and really well us too. 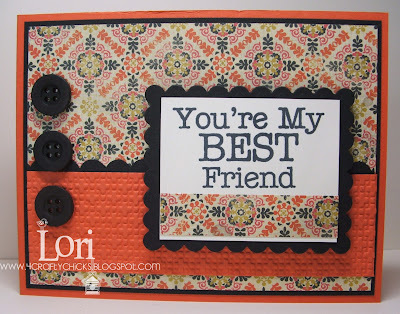 It is always said that diamonds are a girls best friend but I was thinking what is a crafters best friend? Well for me and for many others who make cards and scrapbook pages a staple in their treasure chest of goodies is "PEARLS". So to me they are a creative persons diamond. So put them on and share them with us, we can't wait to see them. Are you ready for tons of inspiration here is what we have for you this week! Girls you totally out did yourselves. Good Morning fellow crafting peeps! The weather has been crazy here in Alberta, above zero for the last few days and rain in the middle of January. Go figure Winter weather right. Yesterday was +10 and by Saturday it will be -13. Nothing like swinging so much temperature wise. Hope you are all having good weather. Thank you so much to everyone who joined us for our color combo last week! We had such amazing creations. 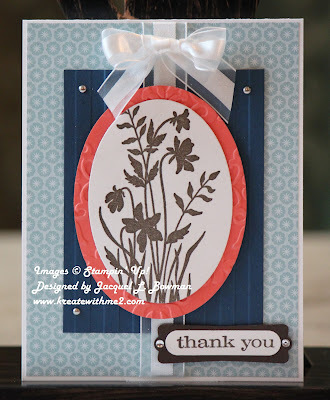 The layouts, coloring, images, stamping, papers were truly fabulous. As a challenge blog we are lucky to have so much talent join us each week! Thanks to all who participated in our "COLOR COMBO" Challenge. We will see you tomorrow morning for our new challenge! Thanks ever so much for the entree's this time, it was awesome and hard choosing the winners as there is so much talent out there, we felt you all are winners. Here are the top 3 in no specific order. Congratulations to everyone who won please email us at 4craftychicks @ gmail dot com with your mailing address so we can get your prizes out right away. 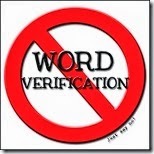 You have 2 weeks to contact us. Congratulations again! Congratulations once again to all our winners! We will be back tomorrow with a brand new challenge...Miss Melissa is our "hostess-with-da-mostess!" See ya! Happy New Year everyone, we do hope you had a wonderful holiday! We are so excited to be having another Blog Hop and search for our Guest Designers for February, March and April. Each Chick has graciously donated a prize to be given to one lucky Blog Hopper who leaves a comment on the Chick’s blog. The winners will be chosen by each Chick using Random.org. 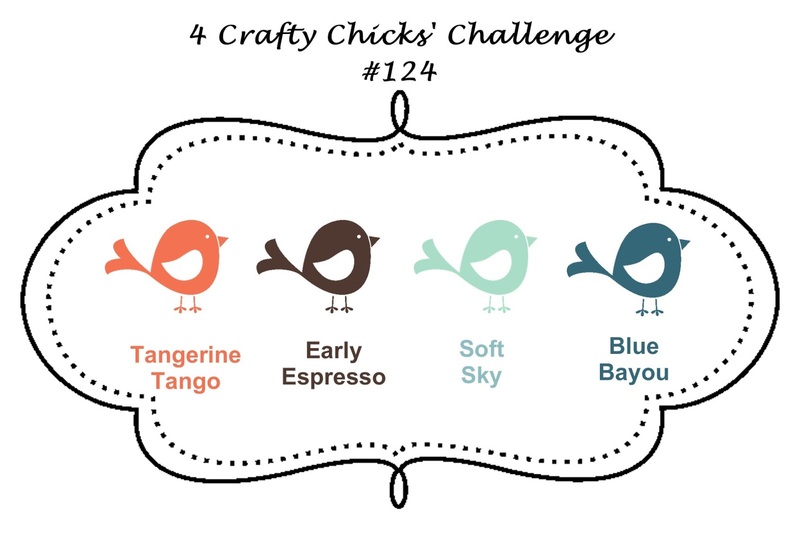 Would you like to join the 4 Crafty Chicks as a Guest Designer? 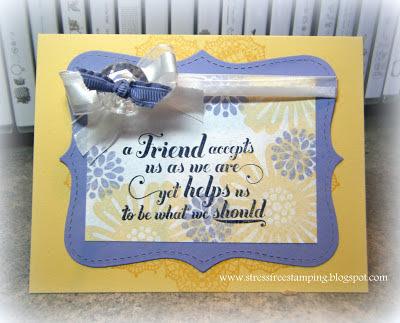 Don't forget to leave your comments because each Chick has their own blog hop prize to give away! I hope you will all take a few minutes to play along with us this week – we can’t wait to choose our next Guest Designers! Have fun, everyone! Good morning! We hope you all had a fantastic New Years. Family and friends have kept us all busy this holiday season, so we would like to take this time to thank everyone who was able to play in this weeks challenge. We completely understand how busy this time of year is. We have picked our TOP 3 Winners who are in no particular order and also our Prize Winners. Congratulations to ALLISA! Please email us at 4craftychicks@gmail dot com with your mailing address so we can get that out to you ASAP. You have 2 weeks to contact us. Congratulations again! Thanks to all who participated in our "COLOR COMBO" Challenge. 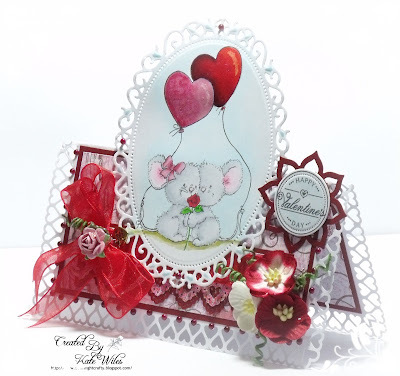 Tomorrow is another exciting day, we are having another Challenge, Blog Hop, looking for more Guest Designers and each of us chicks have a small prize on our blogs that you can win while Blog Hopping. 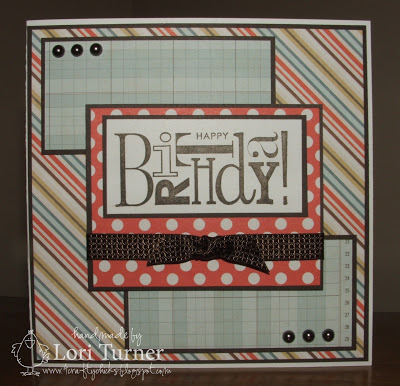 We will see you tomorrow morning with another fun challenge!